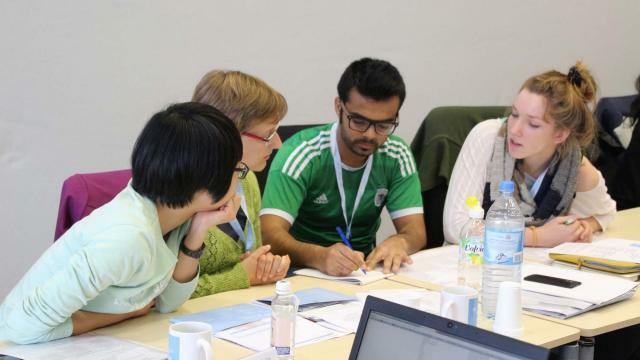 The Cologne University of Applied Sciences (CUAS) and UNU-EHS are calling for applications for the 2015 DAAD Alumni Seminar. The topic of this year’s seminar will be: 11 years after the Indian Ocean Tsunami 2004 – Lessons of Disaster Recovery, Rehabilitation and Resilience. The seminar will provide a unique opportunity for young experts from around the globe, who conducted part of their studies in Germany, to foster and enhance international cooperation and exchange. It will be composed of three webinars (July & October 2015, January 2016) and an intense one-week program in Germany from 9-13 November 2015. The program will comprise lectures, various discussion formats, field trips and interactive project activities. The seminar will be conducted in English. The deadline to apply is 31 March 2015. Lessons Learned: Which lessons have been learned in a way that a difference can be seen today for the livelihoods and resilience of local people in the regions affected in 2004? Lessons To Learn: Despite the body of knowledge created and reflected in a good number of lessons learned studies after 10 years – what is still unsolved or needs to be emphasized? Evaluation: Which (Disaster Risk Reduction) DRR measures have been perpetuated and how can they be evaluated scientifically? Resilience effects and (unintended) side-effects: Which coping, recovery and adaptation measures are supported by the resilience paradigm and which other areas are side-lined, neglected or even contrary to the intended effects? This event will provide for DAAD Alumni to exchange experience and expertise on specific topics in the field of Disaster Risk Reduction, to merge their networks and to foster future collaboration in research and practice. It will bring together experts and practitioners from many countries of the world, representing not only a variety of scientific disciplines but at the same time different national experiences and approaches towards disaster resilience.